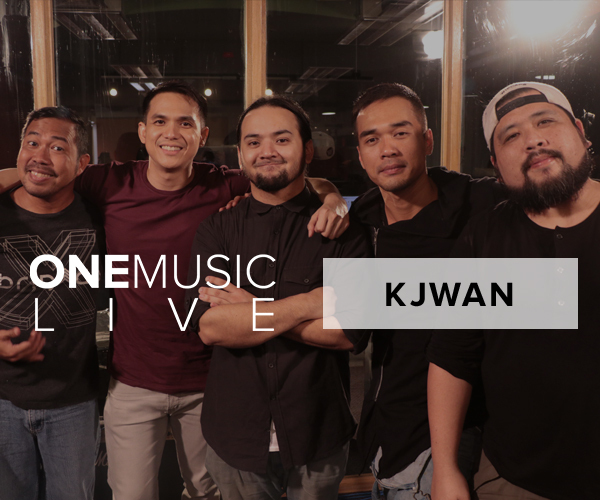 #OneMusicLIVE + Exclusive Interview with KJWAN! Kjwan talks about the ups and downs of the past year, and what's coming up for the band in 2017. 2016 was a year of ups and downs, not just in the world of politics nor pop culture it seems, but also for a not-so-little band called Kjwan. They released “Hyperconnected” as an experiment to adapt to the world of Spotify, where artists release single after single every couple of months or so, but soon realized that what they really wanted was to sit down, work on songs, and release a full-length album. While music fans sometimes have the tendency to dislike how a musician’s sound changes throughout their career, that isn’t a problem that Kjwan pays much attention to. While the band does have the occasional fan who says that they prefer stuff from, say the “2StepMarv” era, Kelley shares: “For me, the real fans are the ones who go with you on that journey. They’re growing up, we're growing up – let’s go on this journey together." Are you excited for Kjwan's upcoming album? Let us know in the comments below! The Red Ninja Year 9 Fest was a blast! Smooth Riffs and Honest Storytelling Combine on One Music Live with Be Discovered Artist BOPEK! Renee Dominique is joining Jason Mraz in his Manila concert!